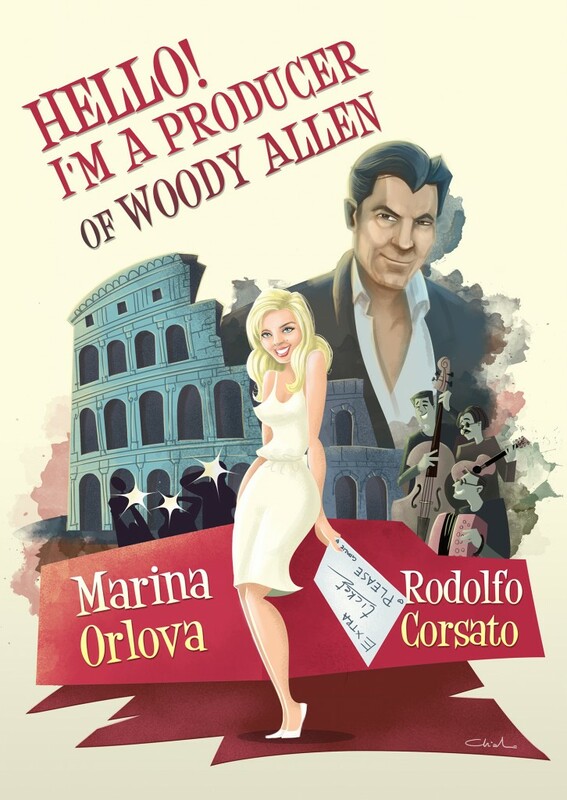 Hello, I’m the producer of Woody Allen is an Italian short film from the 2016 Short Film Catalog, and it’s represented this year at the Cannes Short Film Corner. Here’s an interview with Marina Orlova, who is the scriptwriter, producer, composer and lead actress in the film. It’s about a girl that is trying to get an extra ticket for a Woody Allen’s premiere at the film festival. I’ve been very lucky that his film Café Society actually opening the film festival this year! And they invited me by the way. It’s like a two crossing stories, like what can happen before the premier. So fortunately I attract a lot of attention to my film. It’s a bitter comedy about human vices. An actress who is not an actress and a producer who is not a producer met at the film festival. There are neither bad nor good character, there is an ironic situation that reflects how people behave. In addition the story has a funny twist and comes around the full circle. If a festival is a good start to properly promote a feature film and make people come to the cinema, we can say that the main audience of shorts is already here, at the festival. But let me be ambitious and say that my target is the audience of Woody Allen’s films! People who appreciate story line, humour, dialogues and good acting instead of special effects and computer graphic. I’m a bit old-fashioned lady and am looking for the same good taste people. Well, Cannes is one of the most iconic film festivals is the world! I’m very proud to have the first screening of my film here! Cannes gave a lot of interesting opportunities to my film. And people are very appreciative here, seems they really like movies!